Pinnacle Student is Avid Dancer | The Pinnacle P.O.V. 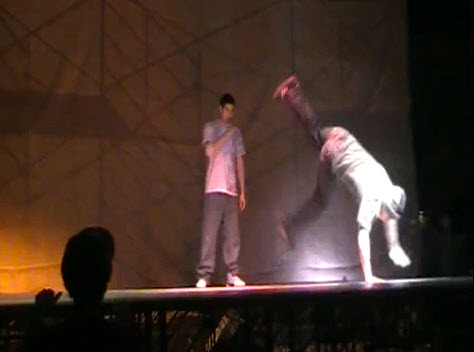 Take a look at one of our students, David Contreras as he participates in a local dance competition. David attends online high school at our Casa Grande campus and is an avid dance fan. You can check out more videos of David and his dance crew on their YouTube page. Great job David and keep up the good work! If you are a Pinnacle student and have an interesting hobby or talent, we’d love to showcase it on our blog! Just send us a message on Facebook or Twitter or email us your story at pinnacle@pin-ed.com. ~ by pinnaclepov2224 on April 6, 2010.